Helga’s Post #75: This is highly unusual for the 5/5/5 blog – every one of us (or at least four) are, or have recently been, traveling at the same time. Me included. Regrettably, unlike fellow poster Joe, I did not have a laptop with me. Hence no blog posts while on the road. My thumbs are just not deft enough to type a whole post on the iPhone. Since the theme du jour has largely been travelling, I feel inclined to add one of my own. A little anecdote. I am always amazed how a change of scenery, an absence from my usual surroundings, influences my writing after I am back home from a trip. It must be that hunger for new experiences, the interest to observe and take in every small detail, and our natural curiosity in all things new that makes our imagination shift into high gear. That’s what I have been experiencing just now. Having traded my familiar surroundings of Canada’s cool west coast for California’s dry and hot desert for a few weeks, I am in awe of just about everything. I feel like a kid in a candy store. I lap it all up like a dog in a butcher shop. Not only the weather, or the almost surreal blue sky. 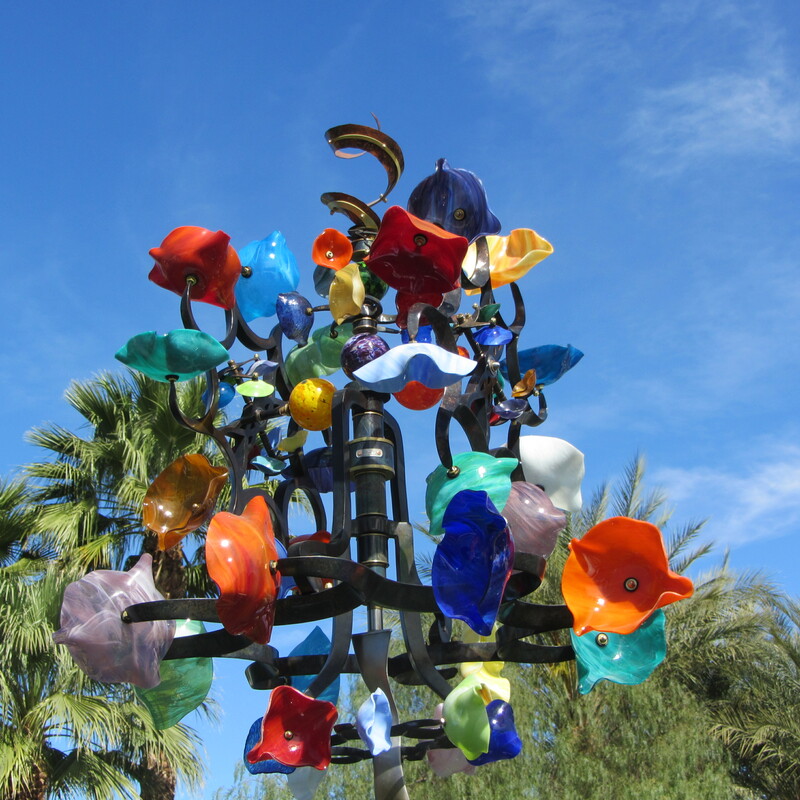 Not just the awesome mountains and palm trees and Bougainvillea wherever you look. Or the mid-century modern architecture. I could go on. But it’s the people that are infinitely inspiring. 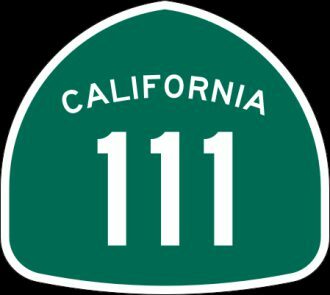 To give you a sense of what I am experiencing: We are on picturesque Highway 111 somewhere between Palm Desert and Indian Wells in southern California, cruising comfortably in the middle of three lanes. At the red light I peek at the car to our left – a huge fancy Bentley. Shiny black. A tycoon’s toy. Curious, I am wondering who drives this masculine icon of über-wealth. “Don’t stare,” my husband says. I ignore him of course and lean ever so slightly forward to take a discreet peek. I expected a forty-something driver, a strong-chinned poster-boy CEO on his way to a board meeting. But it was nothing like that. I blinked, trying to make out the driver. At first I didn’t see him at all. As it turned out it wasn’t a man. Hunched over the steering wheel, chin almost touching, was the tiny head of an older woman. A white turban, reminiscent of the fashion of the early fifties, crowned her withered face. A huge gold hoop hung from her ear (I assumed from the other too, but I could only see her profile). She peered over a pair of gigantic sunglasses perched on her nose. Her hand on the steering wheel was at the same height as her face. Huge rings on every finger. So I was right about the icon of wealth, but the image of that tiny old woman sure blew me away. How she ever managed to see the road ahead of her and to operate this massive car remains a mystery. I could not have made her up in my writing. She was that unusual. But now that I know she exists, I realize she has made me a gift. The gift of inspiration. I couldn’t take a photo of course, but she is firmly planted in my mind. I hope I will find a place for her somewhere in my novel. And spin an interesting yarn about her life. Perhaps she could even become a main character in a new novel. The possibilities are endless. Not another Bentley. Not a luxury car of any kind. A beat-up badly bruised jalopy of indeterminate colour, windows down (if in fact there were any), rocking back and forth as a result of some movement inside. Tobacco smoke oozing. Curious, I turned down my own window. Tobacco smoke it was not. It smelled strong. Reefer-like. Maybe something stronger. The sound of hard rock – really hard – and four figures rocking in tune. Rocking hard. Making the jalopy sway. The four figures – I assume they were guys but I am not sure (remember, I wasn’t allowed to stare) looked like cartoon Photoshop versions of the wildest hippies I have ever seen. I will not go into more detail about their hair or body piercings, but here is another example of what could make a great scene in a novel. Not just the hippy car, or the Bentley, but the fact that these two cars on either side of ours, their owners surely worlds apart, stopped at that same red light and shared this particular moment in time. And I happened to witness it. I was part of that moment, observing from the middle lane. Only a few seconds, but a splendid writers’ moment. So, while my writing took a backseat while on the road, both in terms of my novel as well as posting to our blog, I arrived back home loaded with lots of memories and images. Some pretty quirky ones. I am sure a few will find their way into my novels, because they are too amusing and precious not to share them. Stay tuned. There will be more. This entry was posted in Writing and tagged California images, images as writers' tools, Travelling inspirations for writers by Helga Bolleter. Bookmark the permalink. And, of course, I must wonder if an agent/editor would say “sounds unrealistic….” 😉 I say this because I love adding real-life experiences to my stories. And yet sometimes my beta readers have come back and said that what I wrote seemed improbable or unrealistic. There is a lot of truth in the old adage that “truth is stranger than fiction.” Somehow, I need to find a way to make reality seem more “realistic” and less real…. Now there’s a challenge! Thanks, JM. That is indeed a challenge. I tend to think that agents/editors are generally fond of ‘improbable’ and unpredictable scenes. Donald Maass keeps drilling this into his students at his master classes. Give your readers something they didn’t expect, something outside of their comfort zones, that’s how you keep them turning the pages, is what he’d say. Maybe beta readers are trying to play it a little more safe?